Photos from this year's expo in San Francisco. We made the front page of the Times! 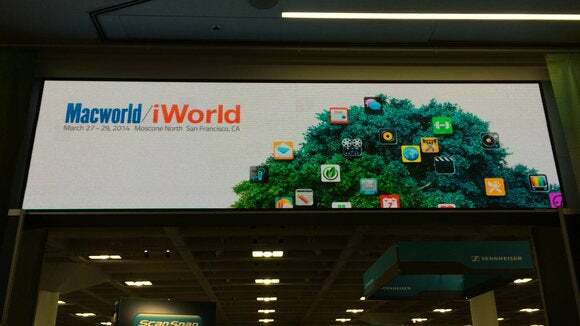 Whether you come for the sessions and keynotes or to see the products on the show floor, there's something for everyone at Macworld/iWorld 2014. 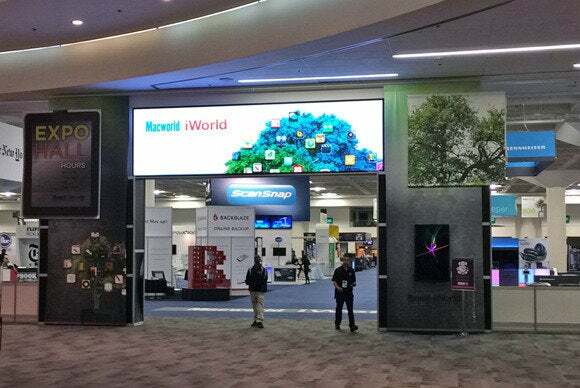 Taken one hour before the show floor opened to the general public. As the minutes tick away, hundreds of people gather at the entrance. The Ring is a Bluetooth device you wear on your finger to perform gesture controls. 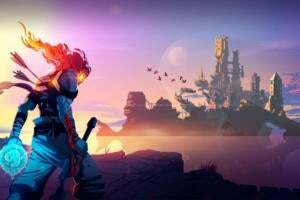 Learn more about The Ring. 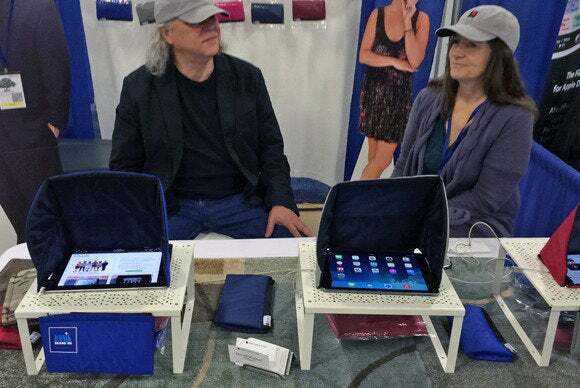 Parle Innovations' $159 iPad case has a built-in keyboard that you can stash by flipping the case. 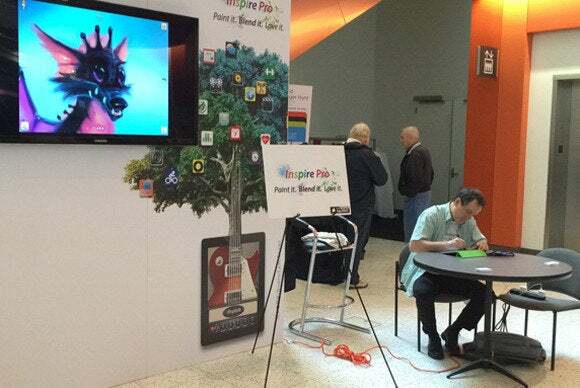 Located just outside the show floor entrance, artists Thierry Schiel and Luis Peso created artwork using an iPad. 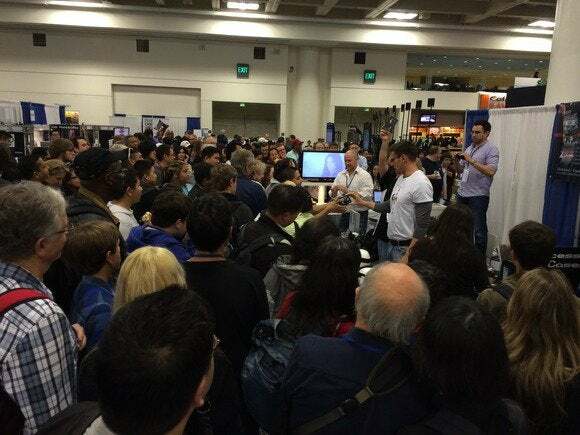 Showgoers lined up at Square Jellyfish's booth for prizes. The company made its debut with a small, non-descript booth at last year's Macworld/iWorld. A lot has changed in a year. 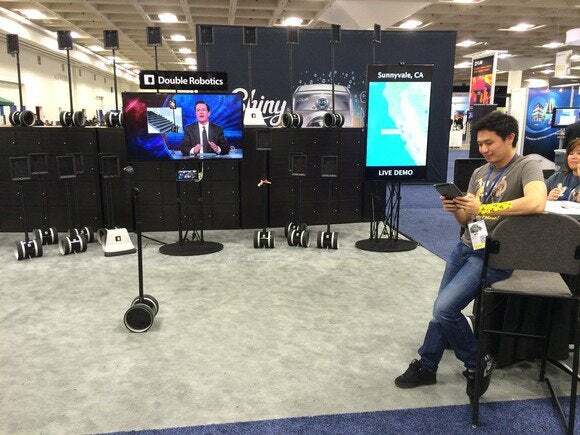 Read more about Double Robotics. Visitors to the New York Times booth could make a personalized New York Times Home Page that featured a short video shot in the NYT Photobooth. 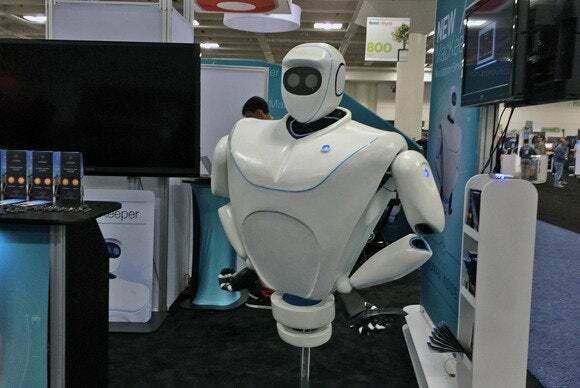 At the booth of MacKeeper, purveyor of annoying pop-up ads. And a Mac system utility. 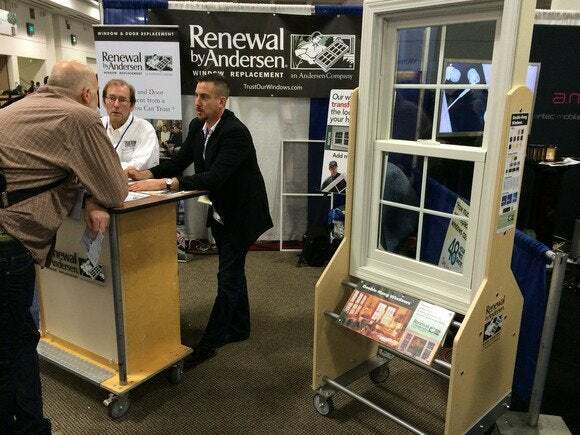 Windows were available at the show—but not of the Microsoft variety. 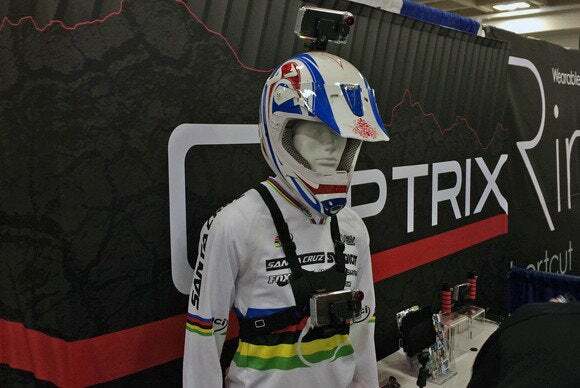 Why bother with a GoPro or some other action camera when you use a harness from Optrix to wear your iPhone on your dirt bike? People love free stuff and raffles create large crowds, like the one at the Innovation & Technology Today booth. 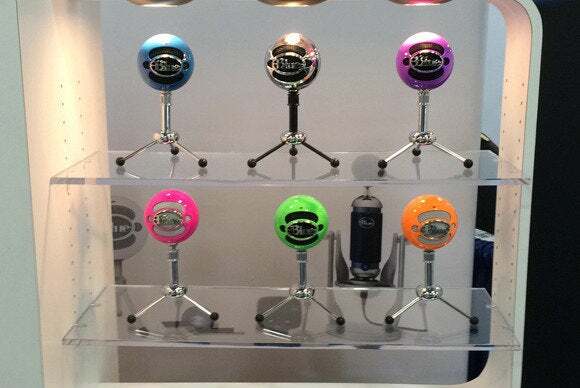 Blue Microphones' popular Snowball mic is now available in a variety of colors. 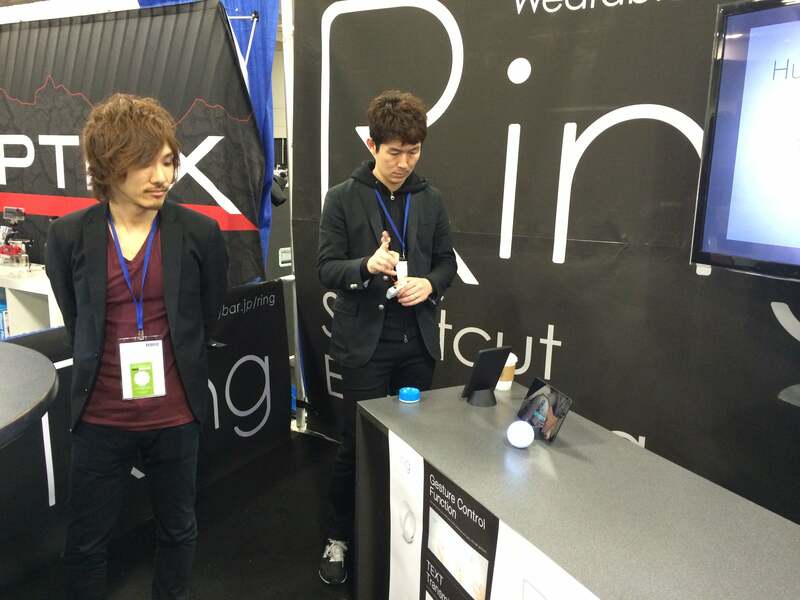 This company specializes in products to help you take better selfies. 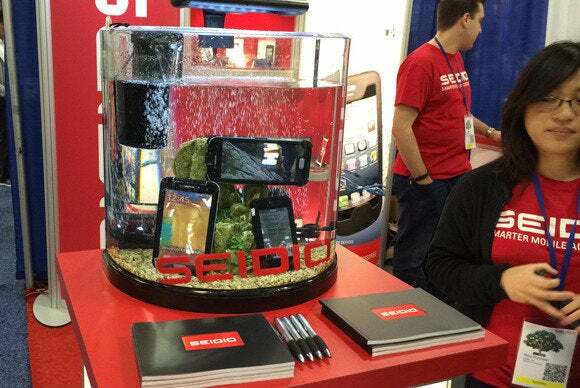 This fish tank used to demonstrate waterproof cases was in the Seido booth at the west end of the hall. 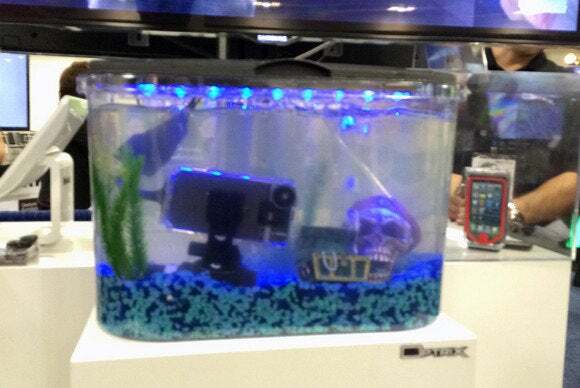 This fish tank used to demonstrate waterproof cases was in the Optrix booth at the east end of the hall. 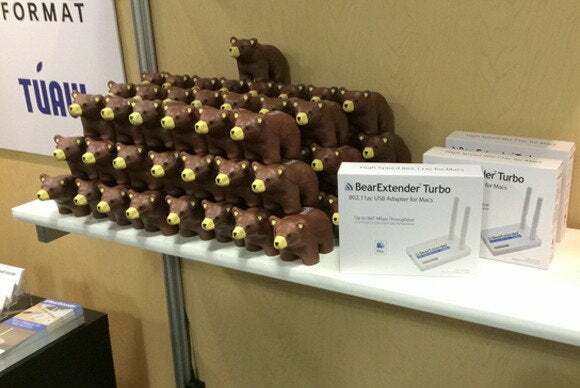 BearExtender gave away little toy bears to visitors of its booth. 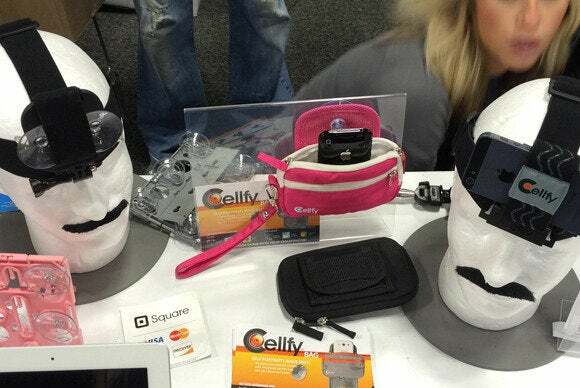 Hoodivision sells shades for your iPad, so you block any light that prevents you from seeing the screen.